The writing has been on the wall for some time now that sports media and the gaming industry and going to become friendlier with one another as restrictions relax and laws change across the U.S. We’ve already seen a handful of states legalize sports betting, sports media companies start their own gambling apps, gambling-related ads pop up on major sports media sites, and the introduction of multiple sports shows with a gambling focus. And while it might still be a while before ESPN, which is owned by Disney, dips its toes into the world of gambling, Turner and Bleacher Report aren’t going to wait around for them to make the first move. Caesars will get their name featured on the video content as they hope to build brand awareness among sports fans who are discovering the ability to bet on sports from around the country. 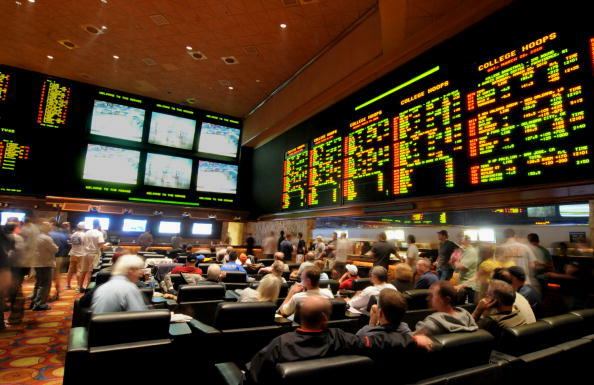 According to research firm H2 Gambling Capital, sports betting is expected to legal in around 30 states by 2030, which will bring overall wagering to around $81 billion. It’s pretty smart to get in now before things really take off. These kinds of arrangements are expected to start coming together more often now. Sports betting-focused broadcast company VSiN has already reached an agreement with Circa, a downtown casino set to open in 2020, to open a studio of their own there. As for if and when ESPN will finally admit that it wants a piece of the sports gambling pie, that remains to be seen. Disney Chairman and CEO Bob Iger was adamant earlier in the week that the company was not going to get involved in gambling anytime soon. However, if the dominoes keep falling and all of their competitors lock up deals like this one, there’s a point where the bottom line might dictate that “anytime soon” happens pretty soon.